This page contains some Christmas items and gifts and links to the original posts where you'll find more Christmas items and tutorials! Just working on finishing up. This Quilt Doodle Quilt is from a Quilt Along 2 years ago. I'm really concentrating on getting some of my Christmas UFOs complete this year. A few last minute Christmas gifts... fabric baskets and warm cinnamon bread! Stop by to see the block tutorials. 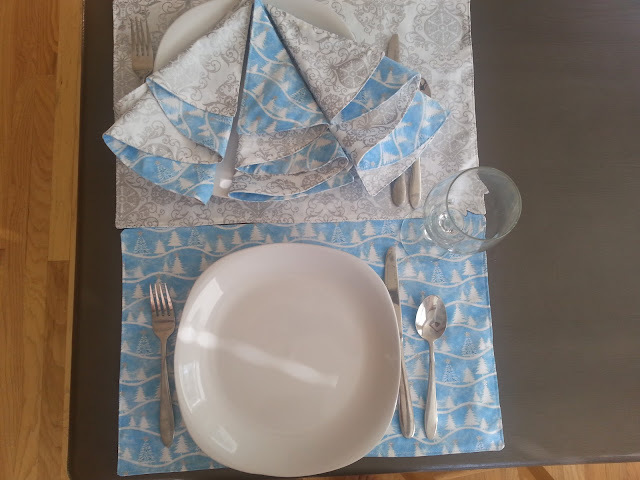 Sparkly place mats and napkins. Christmas Corner August 2015 Stop by the blog to learn the Christmas tale associated with Snow White Sasha and Cobalt Caroline, the inspiration for this month's project and post! Christmas in July Christmas Corner! 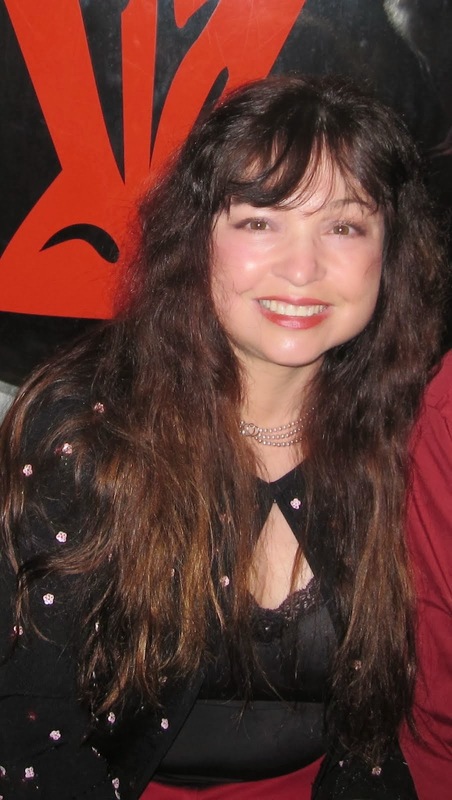 There's something wonderful about Christmas in July! I guess it's the kick off for Christmas sewing and while I've been enjoying Christmas sewing all year long, I'm a little more excited now that others are joining in too! Click anywhere to go to my post for more details! Thanks for stopping by! Go to the post for Deer Tutorial! Update: The Christmas Star Stained Glass quilt block is complete and there's a free PDF pattern (my first) and I'd love to get some pattern testers! Use the link to go to the blog post for more details! started designing some Christmas patterns -- a stained glass Christmas Star and a deer block. April 2015, mini needle book, disappearing hour glass blocks, table topper/pillow with big stitch quilting, and surprise guest blocks. 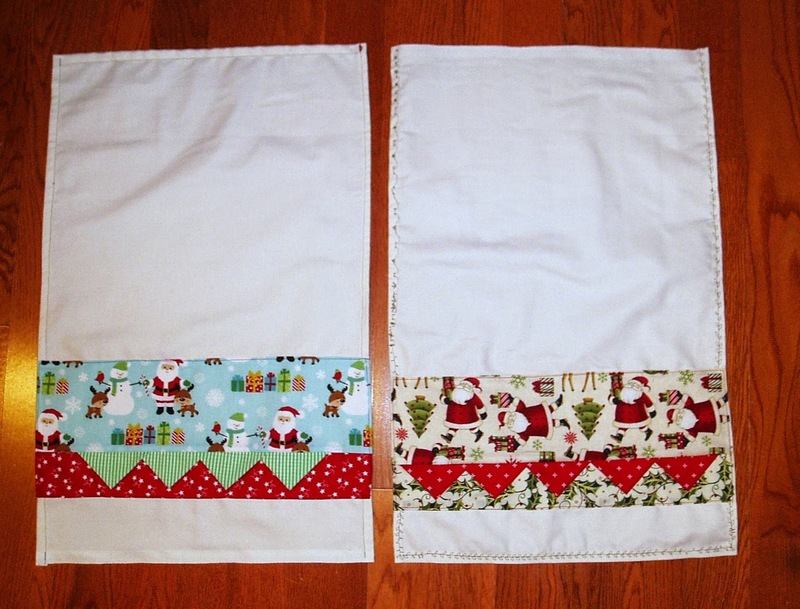 Click the link to the March 2015 Christmas Corner Post to see this apron, darling pouch, and progress on the Scrappy Christmas Stars quilt top. I even reorganized my shelf in the corner with Christmas-y things and I have a link up in the post so link something up! This was a second quilt made with Cindy at Quilt Doodle Doodle BOM in 2014. It's not finished yet, so I'll update it later. 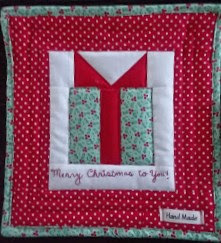 Posted about it here (includes some cutting instructions for the Santa and reindeer flying in the sky, which is my own pieced design). 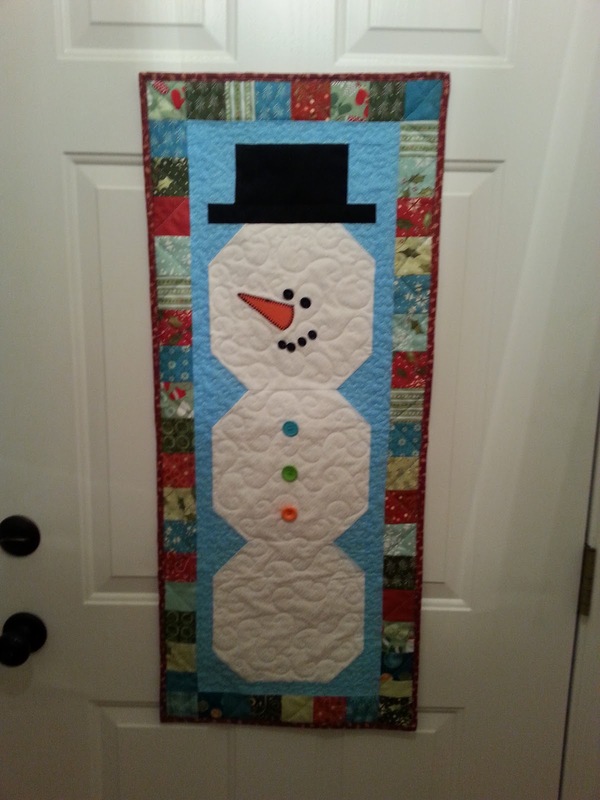 This is a quilt was a QA made month by month in 2014 with Cindy at Quilt Doodle Doodle. Original post (when the quilt was completed) here. 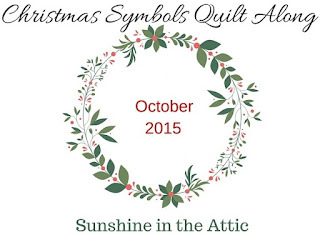 This Attic Window wall hanging project triggered my blogging skills and even quilting skills to much higher heights! 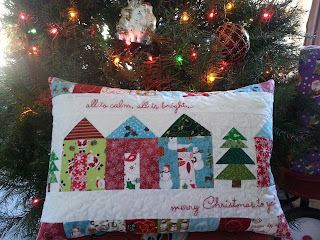 I joined a Christmas in July Blog Hop with The Crafty Quilter and this was my project. 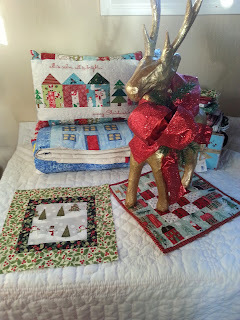 I had to learn quickly many things about blogging as well as design, sew, FMQ, and photograph this project to fulfill my part in the blog hop. It turned out to be a labor of love! Original Post with tutorial is here. I have enjoyed looking at your work and I especially like the christmas window wall hanging, the xmas tote bag, and as a house lover myself I really like the idea of the row houses around the About.com xmas tree!! A Winner!! 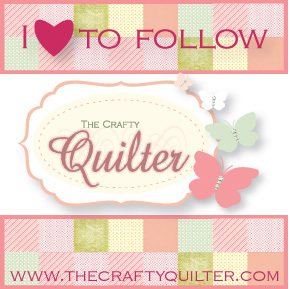 I have thoroughly enjoyed looking through your lovely wall hangings and other Christmas quilted tote bags etc. 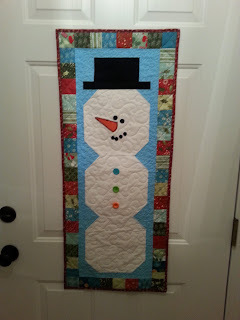 The Christmas wall hanging is a must and will be a project for the New Year. Thank you for sharing your work. I've just enjoyed a visit to your Christmas Corner and all of your wonderful creations. 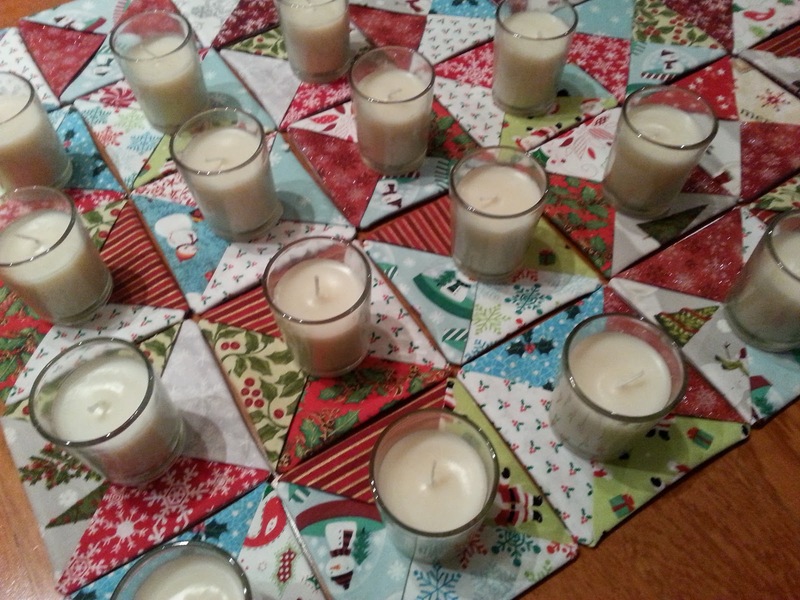 I'm a Christmas junkie and like to see and work on Christmas projects all through the year. This has been a very inspiring visit - thank you.